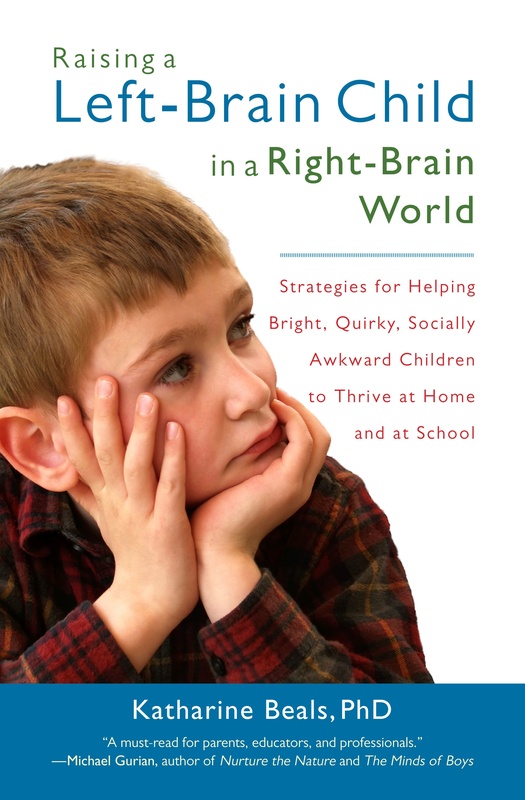 Drawing on her research and interviews with parents and children, author Katharine Beals helps parents to discover if they are raising a left-brain child, and offers practical strategies for nurturing and supporting this type of child at school and at home. Beals also advises parents in how best to advocate for their children in today’s schools, which can be baffled by and unsupportive of left-brain learning styles. "The most accurate insights into the current trends of educational thinking that I have come across. It is a wake-up call for parents of both left- and right-brained children and should be required reading for all students-and teachers-in our schools of education." “A brave, wise, and compassionate guide for parents and teachers of children who, because of their unique styles of thinking and learning, are so often misinterpreted and misunderstood. “Unafraid to address and confront the commonly-held beliefs that often result in an alienation and estrangement of many of our brightest and most accomplished children, Dr. Beals generously offers up an abundance of useful insights and practical strategies that will be of inestimable value both to these students, and to the adults who seek to empathically and effectively raise and educate them." “Beals argues persuasively that right-brain bias on the part of teachers, administrators, and, most especially, school counselors and therapists, now threatens the highly analytic child who prefers to solve a problem by him/herself and not participate in group think. “She is particularly acute in pointing to a classroom bias against linear thinking even though many of our most talented scientists and engineers do think linearly in going from knowns to unknowns in their problem solving. --Sheila Tobias, author of Overcoming Math Anxiety, Breaking the Science Barrier, and Succeed. Here left-brain and right-brain are used in the informal, everyday sense. They do not refer in any way to left and right brain hemispheres. Left-brain: logical, systematic, analytical, one-at-a-time, abstract, verbal, introverted. Right-brain: emotional, incidental, intuitive, holistic, relational, nonverbal, social.